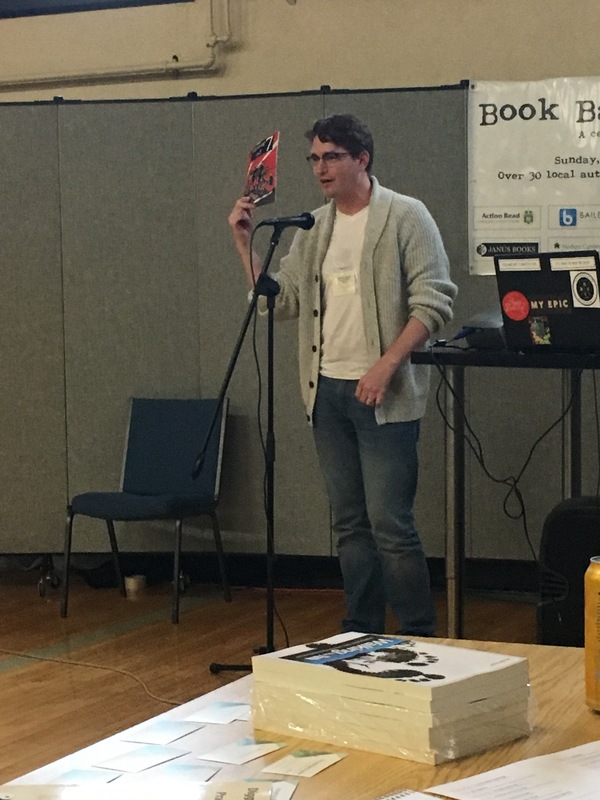 This was our second Book Bash go-around and this show is always a great time. I get to walk from my house and talk comics with locals on a leisurely Sunday accompanied by Wellington Brew and shawarma. Can’t go wrong. For two years running we’ve been the only comic book on offer amongst a sea of local releases. Some repeat customers came by to pick up Issue #2 while I had the opportunity to support the creative endeavours of others who have supported our book. Good people. Good event. Guelph has been good to Group of 7. Local press jumped on the concept when it was first launched publicly in early 2017 and local businesses (The Dragon, Royal Cat Records) and institutions (Guelph Public Library, Guelph Civic Museum) have been keen to help spread the word by providing a space for our promo postcards. Our first school presentation was at Central Public School and our first signing was (again) at The Dragon. 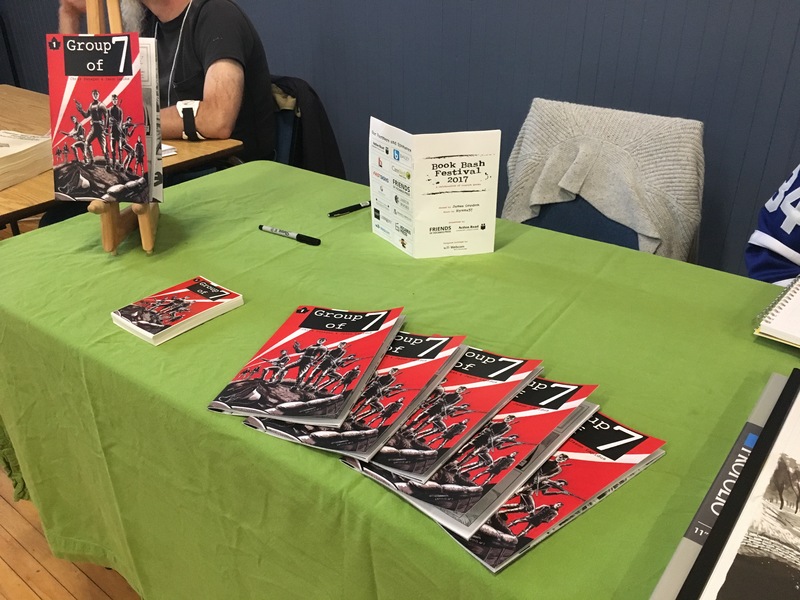 Suffice to say, John McCrae’s hometown has given us a great deal of support so we were thrilled to be included in this year’s Guelph Book Bash, a celebration of local authors, creators, books and publications organized by Vocamus Press, a local non-profit that promotes Guelph book culture. Any event that sells local craft beer (Wellington Brewery), falafels (Osmows) and is hosted right around the corner from my house has our stamp of approval. 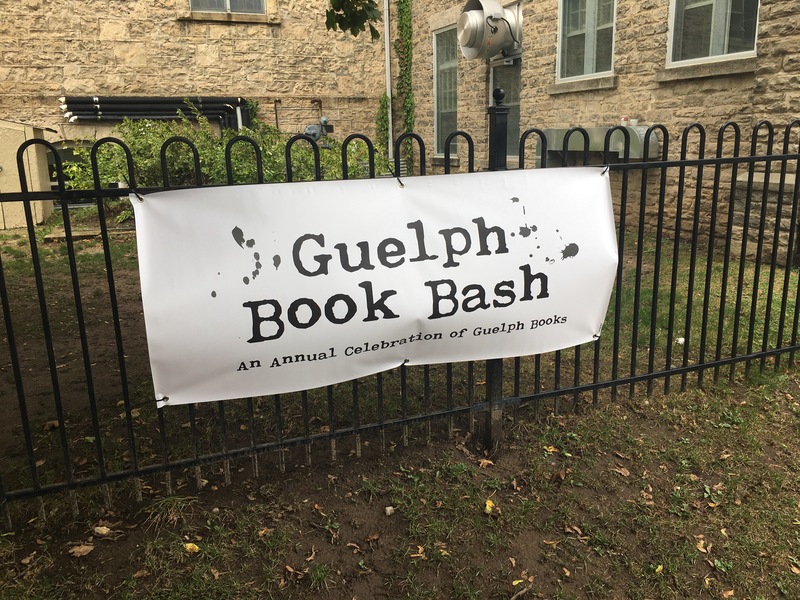 With any luck, as more issues are released over the next year, we’ll be invited back for the Book Bash’s 5th anniversary.